Wee paws to apply hand cream? 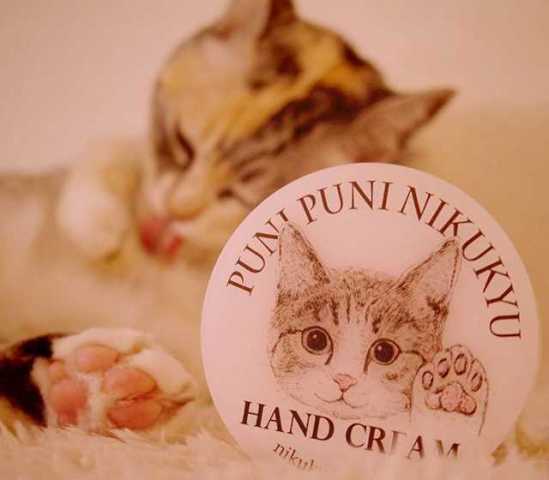 Puni Puni Nikukyu hand cream from Japan is delicately scented to evoke the sweet popcorn-like aroma of a cat's paw pads. Nekobu, manufacturer & distributor of the uniquely fragrant Cat Head Smell Spray), has a few other tricks up their furry sleeves. Take Puni Puni Nikukyu hand cream, which also smells like a cat but instead of the head it's the other end... er, not that end. We're talkin' kitty paw pads: “meatballs”, as Japanese cutely call them... which have their very own distinct scent. Who knew? More importantly, who in their right mind would make the effort to find this out? In any case, the cat's out of the bag (so to speak) and feline paws do indeed exude the cloying scent of fresh-popped popcorn. Since some Japanese and foreign fans of the country's pop culture enjoy wearing cat ears and cat tails as cute & kitschy fashion accessories, the thought of one's hands smelling like cat's paws isn't all that shocking. Hmm, let's rephrase that. Hands smelling like popcorn isn't weird; hands smelling like cat's paws is, well, a tad out there... and now, thanks to Nekobu, it's a thing! 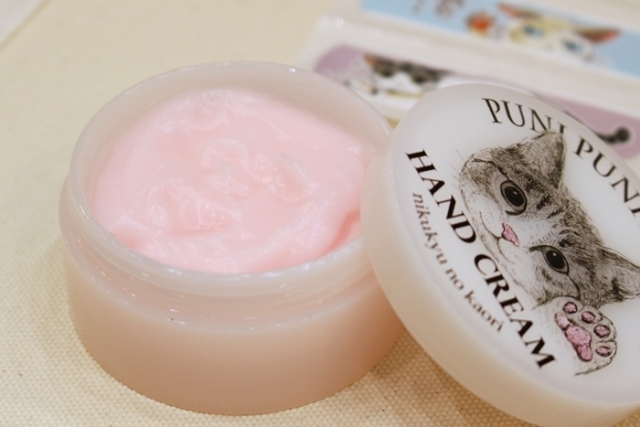 Puni Puni Nikukyu hand cream comes in convenient 50-gram (just under 2 oz.) containers costing 1,050 yen (about $8.75) each, plus tax. For more info and to order, please visit the Felissimo online product page.